Hours before American Secretary of Defense Robert Gates was to meet Chinese President Hu Jintao at the Great Hall of the People in Beijing on Tuesday, 11 January, an aircraft took off from an airfield in the southwestern city of Chengdu. The flight lasted barely 15 minutes, but it was a clear message that the strategic balance of global air power was set to shift inalterably. The fifth-generation Chinese stealth fighter, the J-20, which took off on that day, was a signal that the end of American technological dominance of the skies may no longer be a question of decades but years. 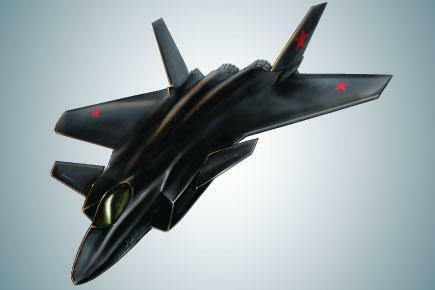 For weeks before the flight, pictures of the stealth fighter had been making their way to several Chin-ese websites. The very fact that they were not pulled out and the websites left free to operate was a signal that the world was meant to know of the existence of this fighter. The photographs were impressive, displaying the kind of technology that the world had suspected the Chinese were a decade away from developing. For this very reason, there was no shortage of sceptics, among them Robert Gates. Now, on his way to China, he admitted that US intelligence had underestimated the Chinese. He told reporters aboard his plane, which arrived in Beijing on Sunday, “I think what we’ve seen is that they may be somewhat further ahead in the development of that aircraft than our intelligence had earlier predicted.” But even then he said he remained unsure of how ‘stealthy’ the plane was. The flight that took off from Chengdu was the Chinese answer. This time the news did not filter out through grainy photos on the Web. It was Kanwa Asian Defence magazine (an East Asian military journal) editor Andrei Chang, a long-time observer of the PLA, who confirmed this in a report from Hong Kong. He said the J-20 took off at 12:50 pm local time, and this was the report the Chinese state-run media picked up to confirm the flight.